The University of Florida operates a variety of vending (small value transaction) machines at locations throughout campus. Machine types include beverages, snacks, laundry washers and dryers, library copy machines, and an office supply machine located at Library West. These machines are located at major vending areas, academic and administrative buildings, student resident halls and recreational facilities. Depending upon the machine type and location, vending operations can be initiated by coins; paper currency; Visa, MasterCard, or American Express credit cards; or Gator 1 cards with established vending account balances. 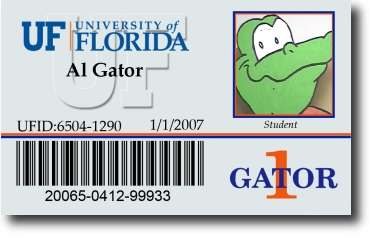 The Library Vending Debit Card may be used to access the copy machines at the UF Libraries. To set up or make increases to the account complete the Library Vending Debit Card Accounts Form. The request should be e-mailed to Gator 1 Central at or faxed to Gator 1 Central at 352-846-0907.